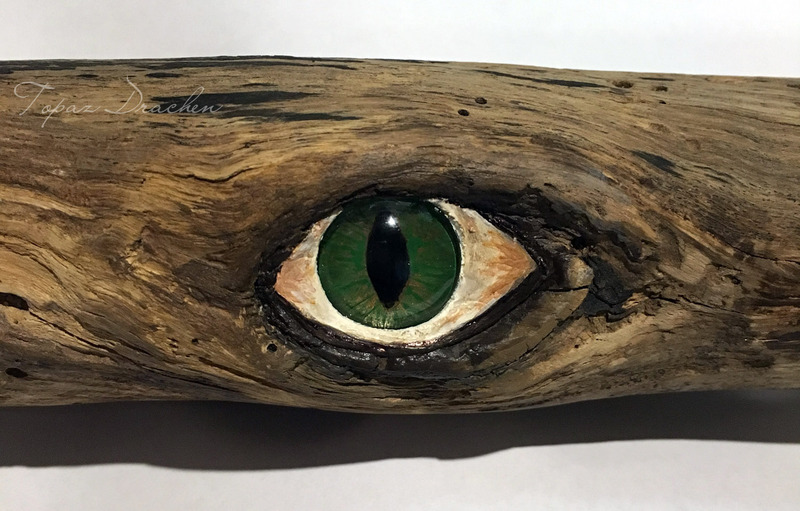 I created this Dragon eye in a knot-hole on a special piece of driftwood using modelling clay, acrylic paint and an 18mm clear glass cabochon. 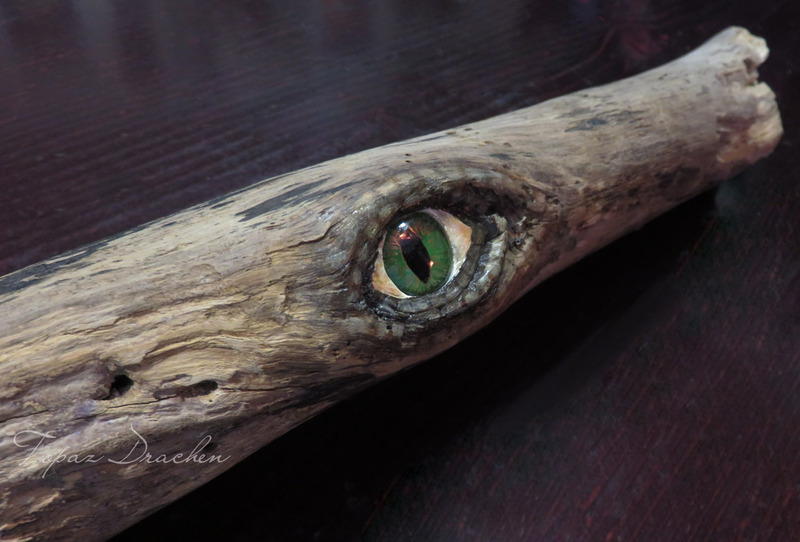 The piece of driftwood is about 560mm (1’10”) long and is used as a talking stick by my Dark Moon Circle and is a ceremonial object displayed on the altar at our full and dark moon circles. Each Dark Moon Circle member has the opportunity to add something to decorate it and add their energy to it. This is the second talking stick our Circle has used — the first was created some years ago but many of the people who added things to it have since gone their separate ways. 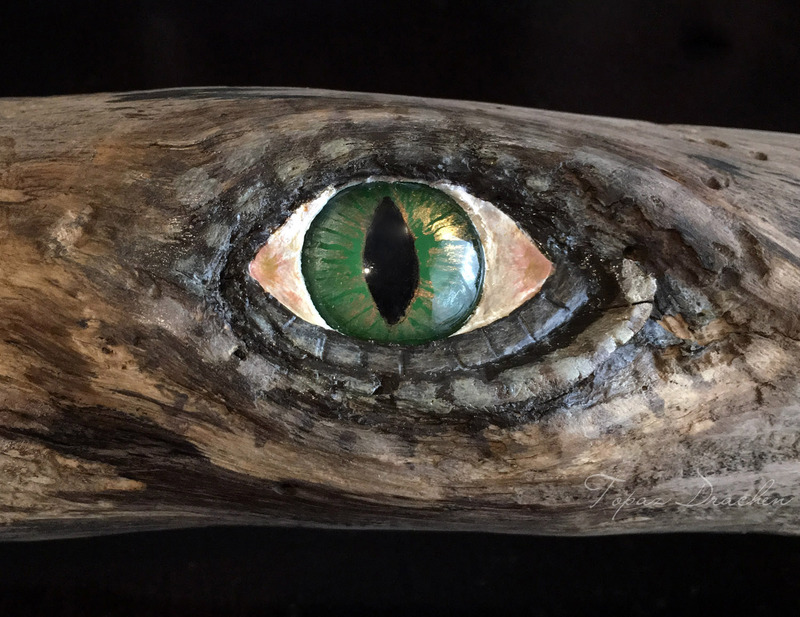 So we thought it was time to create a new talking stick, which is made from a fresh length of wood cut from the same long piece of driftwood from which the first stick was also cut. The “Talking Stick” is a handy technique to use in a group meeting to make sure that each person gets to have–and finish–their say without being interrupted. Here’s how it works. The group leader holds the talking stick and starts the discussion. The Talking Stick is then handed to the next person who wants to speak. No-one interrupts the person who is holding the Talking Stick. If the speaker needs some time to think before s/he is finished, then everyone just waits until they’re ready. When the speaker is finished s/he passes the Talking Stick to the next person. The next person talks until they’ve had their say, and so on until everyone has had their turn. 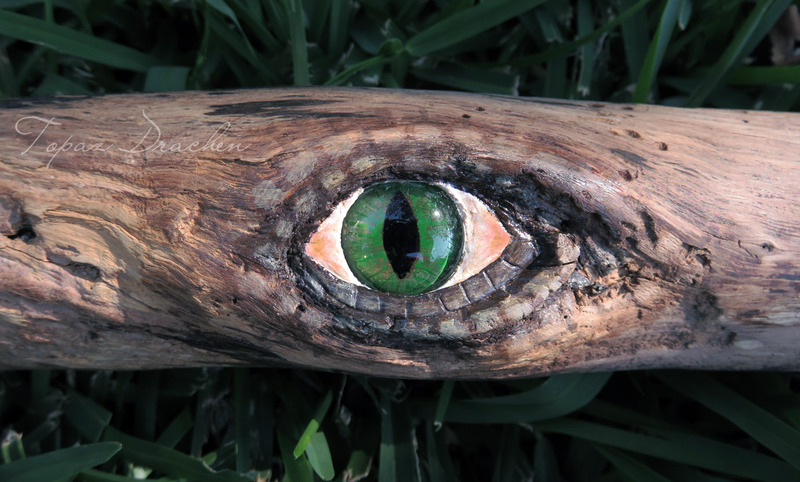 This entry was posted in Art & Craft, Magickal Tools.